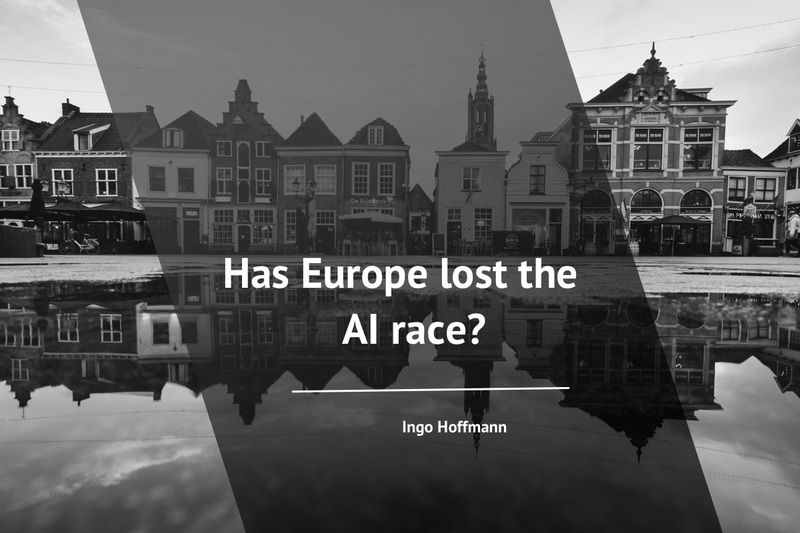 Has Europe lost the AI race? A lot can be read and heard about artificial intelligence (AI) and especially about machine learning (ML). It is one of the technologies that will decisively determine our future. At least that’s what many experts believe. I agree, even if there are still many question marks. Both in terms of technology. And even more when it comes to the use of these technologies. We are at the beginning of this development, even if the foundations were laid 50 years ago. However, ML or Deep Learning algorithms can only be applied now with the data volumes and computing power available today. These applications will fundamentally change many aspects of our daily life and work. This is already evident in many areas. I write this article by hand on an iPad. My handwriting is recognized almost error-free and converted into a text document. Which I can then translate with the help of DeepL. Also this in almost perfect quality to get an English version of the blog post in addition to the German one. Behind these are neural networks (deep learning) who have made a huge leap in quality in recent years. The same applies to speech recognition, image recognition and many other areas. Many companies and entire industries will change over the next few years through the use of machine learning. The use of man and intelligent machine opens up completely new possibilities. Experts are talking about the fourth industrial revolution that has just begun. Driven in particular by the application of ML. In the consumer sector we have seen this for some time now. 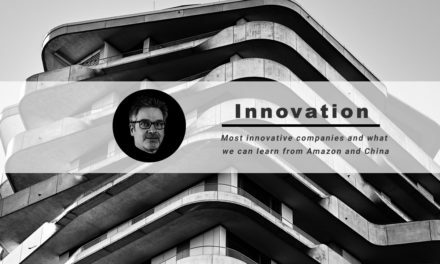 Companies like Amazon, Google and Facebook dominate the business here. And the basis for this are to a large extent ML applications. The same applies to the Chinese market with Tencent, Alibaba and Baidu. These companies are increasingly dominating also the basic research in the field of AI. Many of the leading researchers are already working for these or other private companies. Salaries are partly astronomical, so that universities and public research institutions cannot keep up. And that brings us to the question of whether Europe has already lost the race. Because one thing is pretty clear. There’s a race for the lead in the AI competition. Maybe this should be called AI nationalism. More and more countries are defining their AI strategy, and more importantly their AI investments. China is the leader here. It has a national plan to become the leading nation in the AI area by 2030. Supported by a lot of money also on a regional level. Beijing, for example, has announced an industrial park for AI with investments of 2 billion $ and in Tianjin it should even be 16 billion $. And these are just a few examples. No other country currently has a comparable plan at all levels. The USA is still the leader in research and application of AI. But already almost 50% of AI related start-up investment goes to China. Other countries such as Canada have also successfully established centres for AI. And Europe? Europe is well positioned in terms of basic research. But many scientists are joining companies like Apple, Google or Facebook, which offer high salaries and at the same time enable research. We run the risk that future developments will no longer be accessible to us, as they are done in private companies. This year, Europe has also woken up. In France, President Macron presented an AI strategy with investments of €1.5 billion. The EU intends to invest a similar amount of money and is working with the member states on a €20 billion programme. Germany is still lagging behind, but has also recognised the issue and put it on the political agenda. It is not too late, but we cannot afford to wait much longer in Europe. What do we need so we don’t get left behind in this race? And to put the future of our affluent society at risk. We must ensure that top researchers in Europe have attractive research conditions. We need attractive research locations with an active ecosystem that supports the application of research. Initiatives like Ellis should be implemented. 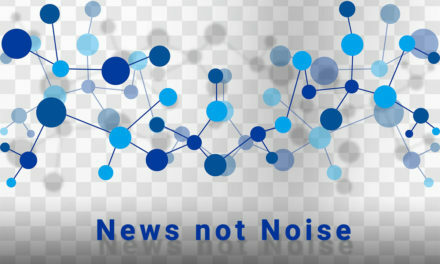 The application of ML in industry and the public sector must be specifically promoted. Especially in medium-sized businesses there is a lack of expert knowledge. 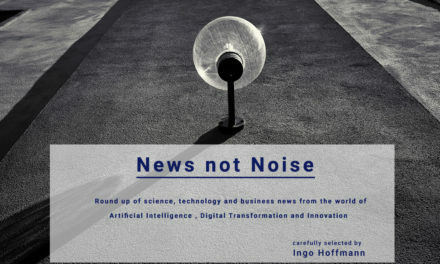 Initiatives such as appliedai.de can make a decisive difference here, but political support is also required. We need a lot of targeted support for AI startups. This can be achieved through support of champions through more VC money or the expansion of a simple and fast IP transfer from research. We need a broad approach, but it must also be backed by money. 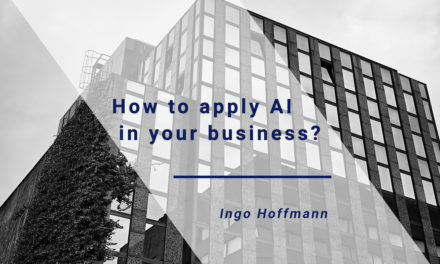 There are already many good suggestions and initiatives such as appliedai.de or the report by Roland Berger and Asgard. We should see how we can benefit from European strengths also in the AI competition and expand them in a targeted manner. Access to data is critical for successful ML applications. We have an advantage in Europe due to our heterogeneity, which is also reflected in data. But we have to make the data accessible, for example through data pools. Many organizations can bundle their data here (anonymized, of course). Anyone who wants to use data must also provide data. Large companies more than small. We can also use the open source approach to promote innovation in AI. Knowledge of AI technologies will become even more important in the future, for all of us. Only with a solid basic understanding of the possibilities arising from the use of ML and AI will we be able to conduct the necessary debates in society and politics. And this knowledge is also becoming increasingly important in the workplace. At the same time, the need for finely tuned social and emotional skills will grow rapidly through the use of AI. The demand for higher cognitive abilities such as creativity, critical thinking and decision-making will increase, as a McKinsey study shows. It is therefore essential that we change our education system. This applies to schools where AI technologies should be taught to students. This is even more true for companies that have to enable and promote further training for employees, especially with a focus on social and emotional skills and creativity. It is important to take an active lead now. The pace of development of digital technologies, and AI in particular, is very often underestimated. It is an exponential development that is difficult for many people to grasp. We are therefore often surprised how slowly things develop at first (we overestimate the short-term effect) and then all the more surprised when the development suddenly happens at a furious rate (we underestimate the long-term effect). Germany in particular has already lost a lot of time. But it’s not too late. We have every opportunity to take advantage of digitization and AI. We just need to take them while we can.